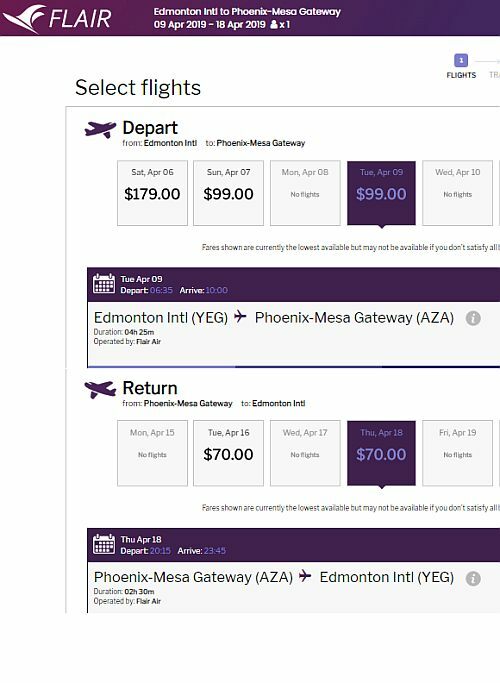 Vice versa trips (Mesa to Edmonton) are also available for a similar roundtrip price. - Look for the dates in December 2018, January 2019, and the first week of February 2019 that are $96 on the way down, and $61 on the way home. edmonton, yeg, flight deals, phoenix, arizona, united states, north america, aza, flair air and mesa.